I know I’m not alone when it comes to enjoying the season of autumn. Days become shorter. Sunsets seem more stunning. Temperatures start to cool off. Well, around here, there is no real guarantee of that, unless we are in the mountains. But you know what I mean. For me, fall means we are heading into some holidays that I really enjoy, too. Do you have favorite recipes that come to mind and start your cravings when your calendar turns to October? Perhaps something with butternut squash or a pork loin roasted with sage? I have to give a nod to all things pumpkin, too. Although I’m not a pumpkin latte fan, I accept that many of you are. But slice up a homemade pumpkin pie, add a little fresh whip cream, and I’m ready with my fork. My mom always sprinkled the whip cream with small chunks of peanut brittle. Delicious! I continue that tradition in our home, though not everyone is as interested in that as I am. I live in Southern California, so we have to create our own fall. Some trees near our home are changing color. Pink. They have large pink blossoms during this season. What? That always makes me laugh. The trees along one street in our neighborhood all bloom in bright pink blossoms in the fall. I took this photo at sunset. Though they kind of look orange, I assure you they are pink! Not a fall color in my mind. The Japanese maples in our town will turn to beautiful fall colors, more orange and red, but not until December. That’s OK. I still like to see the bright colors. This year, I purchased a maple leaf garland that reminds me of Midwest leaves floating in the breeze to the ground. It’s a colorful addition to our den. I recently purchased some table runners for our large dining table to set a fall mood. This is part of simplifying seasonal decorations, to have simpler storage when not in use. It is fun at add simple visual hints of the season or holiday. Table runners are perfect to fold and put away until next time. In addition, I create some focal points, like many of you do as well, with tiny pumpkins from Trader Joe’s around the house for a pop of fall color. Those can be tossed at the end of the season. No storage needed. Sometimes I toss them in a field to feed some critters. I like to fill a small glass vase with candy corn. That decoration seems to disappear by the time trick-or-treating is over. And, of course, faux candles with timers warm the home with light. Candles can be used all year. The beautiful books and magazines that feature fall photography, recipes, and decor ideas are fun to read. That helps get in the fall spirit out here in California. I grew up in the Midwest, so I’ve experienced the full fall tree colors, authentic hay rides, a reason to own sweaters, and chili suppers that do not include jalapenos. Here are two of my favorite seasonal books: Autumn, by Susan Branch, and Seasons of the Heartland, by Midwest Living. Although the leaves will have fallen to the ground by late November, I’m looking forward to a Thanksgiving visit to my hometown in northeastern Ohio to get a sense of autumn, similar to my growing up years. It will be cool weather, and we may even see some light snow. Two additional notes. Ironically, orange is my least favorite color. Unless it is September, October, and November. And, ironically, fall has other meanings, especially for me this year. I’m not sure any literal fall is happy, unless you fall in love, fall into bed, or fall into a big pile of leaves. See last week’s post for details on a recent fall that was NOT a favorite season. So, happy autumn and enjoy your fall…in the seasonal sense. 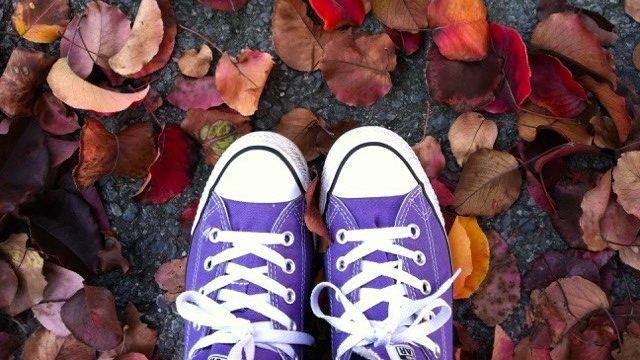 What are the ways you enjoy the fall season? I hope you, too, find joy in the season. Join family or friends for soup and apple crisp sometime soon, or your fall food of choice!